00 years, researchers have tried to name cells. They have described them in the same way Darwin described animals and trees. 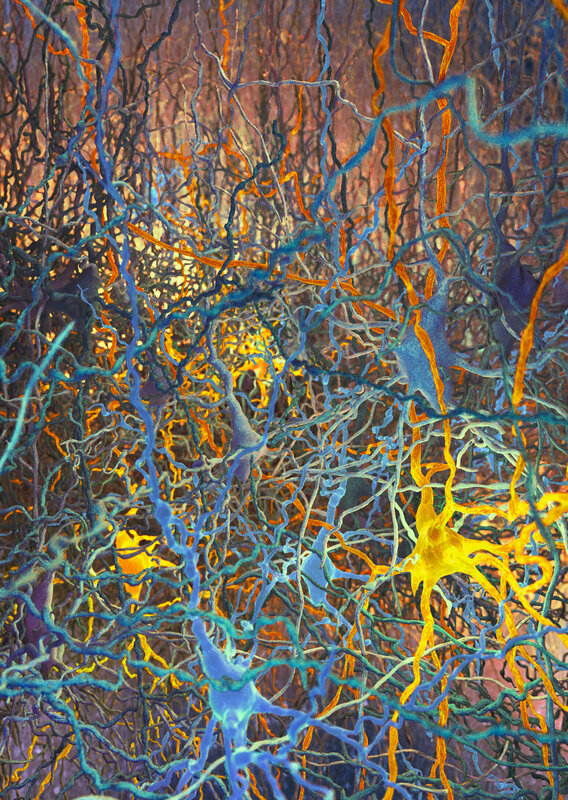 Now Blue Brain Project has developed a mathematical algorithm to objectively classify the neurons' forms in the brain. This will allow the development of a standardized taxonomy [classification of cells into distinct groups] for all brain cells that will help scientists compare their data more reliably. " The team developed an algorithm to distinguish between the forms of the most common type of neuron in the neocortex, the pyramid cells. Pyramid cells are clearly wood-like cells that make up 80 percent of the neurons in the neocortex, and as antennas, collect information from other neurons in the brain. Basically, they are redwoods in the brain forest. They are exciting and send waves of electrical activity through the network that people perceive, act and feel. The father of modern neuroscience, Ramón y Cajal, first drew pyramid cells over 100 years ago and observed them under a microscope. Nevertheless, researchers have so far not reached agreement on the types of pyramidal neurons. Anatomists have assigned names and debated the different types for the last century, while neuroscience has not been able to safely tell which types of neurons are subjectively characterized. Even for visibly distinct neurons, there is no common reason to consistently define morphological types. The study by Blue Brain shows for the first time the objective classification of these pyramidal cells is possible by using tools from algebraic topology, a branch of mathematics that study the form, connectivity and emergence of global structure from local constraints. Blue Brain has pioneered the use of algebraic topology to address a wide range of neuroscience problems, and with this study once again demonstrated its effectiveness. In collaboration with professors Kathryn Hess of EPFL and Ran Levi of the University of Aberdeen, Blue Brain developed an algorithm to objectively classify 17 types of pyramid cells in rat somatosensory cortex. The topological classification does not require expert input and it has proved to be robust. The structure of most neurons resembles a complex tree with multiple branches that connects to other neurons and communicates via electrical signals. If we keep the longest (persistent) components of the neuron structure and break down the smaller branches, we can transform its tree-like structure into a bar code – a mathematical object that can be used as an input to any machine-learning algorithm that classifies neurons into different groups. Any neuronal classification process confronts a question: Are two cells that look different, just a part of a continuum of gradually changing differences (like different breeds of dogs) or Are they really different "species" of neurons? In other words, are they discrete or continuous morphological variations of each other? This can be answered by the new topological classification and grouping of the different "species" of brain cells, each with its own distinctive "breeds." 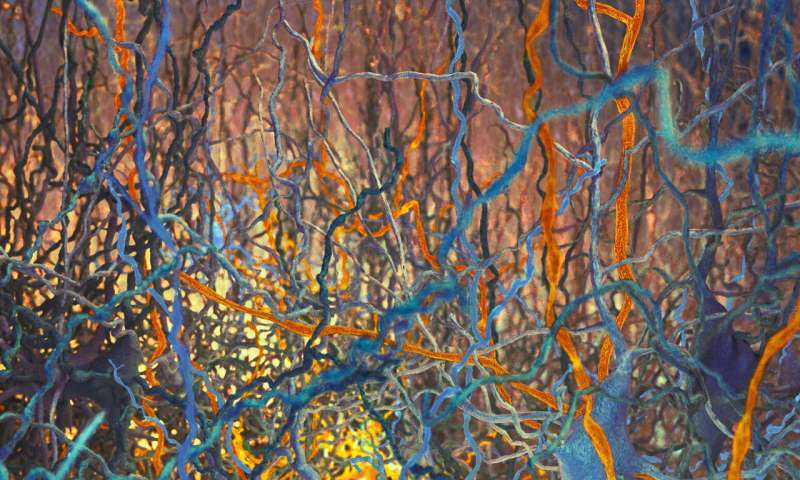 "The Blue Brain Project is digital reconstruction and simulation of the brain, and this research provides one of the solid foundations needed to put all types of neurons together," Kanari explains. "By eliminating the ambiguity of cell types, the process of identifying the morphological type of new cells will be fully automated." This breakthrough can benefit the entire neuroscience community, as it will provide a more sophisticated understanding of cell taxonomy and a reliable comparative method. The objective definition of morphological types is an important first step towards a better understanding of the brain's basic building blocks: how their structure is related to their function and how local neuronal properties are associated with their long-distance projections. This method provides a universal description of trees, which means that it can be used for a consistent description of all cell types in the brain, including neurons in all brain areas and glial cells.